Add color to your kitchen without lifting a finger when you add the Pure Komachi 2 Paring Knife to your collection. The Pure Komachi 2 knives have unique designs that consist of colored handles and coated, colored blades for a bright tool. Constructed of high-carbon stainless steel that is sharpened to a razor sharp edge for precise peeling, paring and cutting, this 3 1/2 inch blade is coated with a bonding liquid that resists corrosion and creates a food-safe surface. The matching green handle is shaped for comfort and styled for appeal. 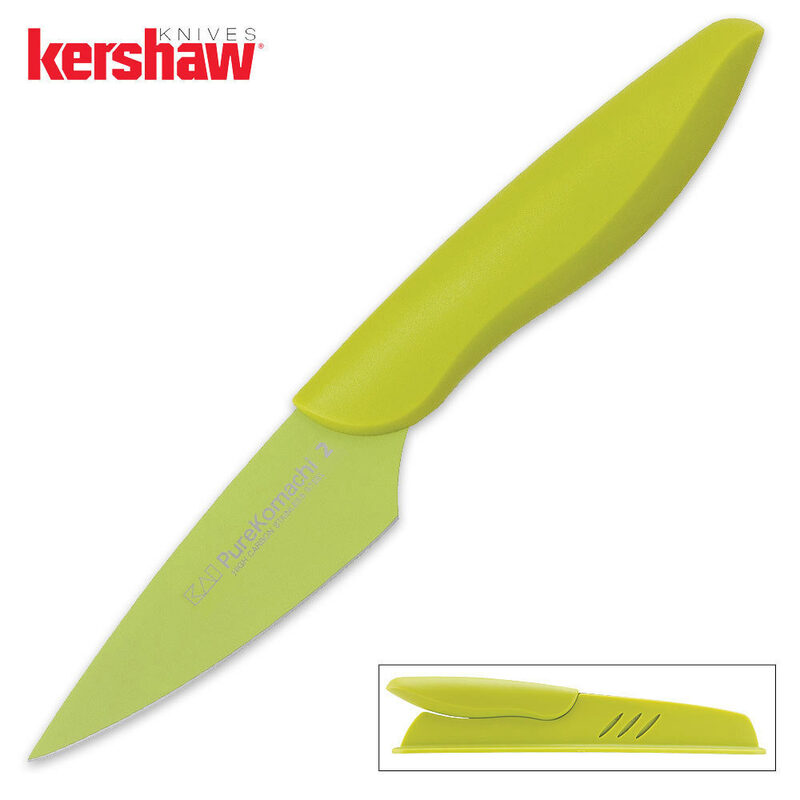 Lightweight and bright, the Pure Komachi 2 Paring Knife is a compact knife in a brilliant design and hue. Includes sheath for easy storage. 3 1/2 in. blade.